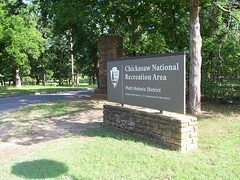 Chickasaw National Recreation Area preserves partially forested hills of south-central Oklahoma near Sulphur. 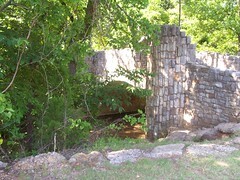 Named to honor the Chickasaw Indian Nation, who were relocated to the area from the Southeastern United States during the 1830's (and who later donated the land for the park to the Federal government), the park's springs, streams, and lakes provide swimming, boating, fishing, picnicking, camping, and hiking. 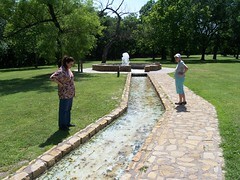 As part of the Chickasaw tribe's arrangement with the U.S. government, the park does not charge an admission fee. 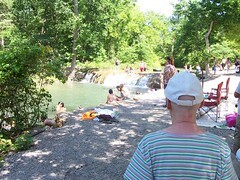 Established as Sulphur Springs Reservation on July 1, 1902; renamed and redesignated Platt National Park on June 29, 1906; combined with the Arbuckle Recreation Area and additional lands and renamed and redesignated on 17 March 1976. 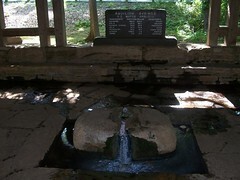 Of the park's 9888.8 acres (40.0 km²) water covers 2409 acres (9.75 km²). The park contains many fine examples of 1930's Civilian Conservation Corps architecture. 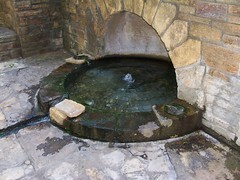 CCC workers created pavilions, park buildings, and enclosures for the park's many natural springs.